Islamist militants have been pushed out of Kobane and fighters of the Peoples Protection Units (YPG) are now in control of the town, a Kurdish official in Kobane told Rudaw. 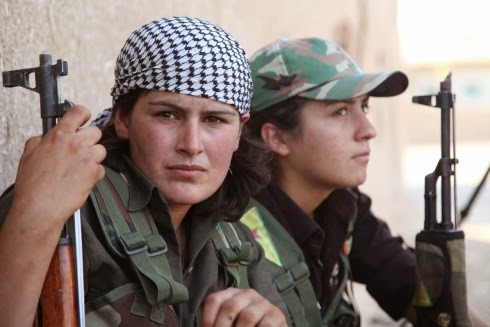 “There is no ISIS in Kobane now,” said Omar Alush, co-chair of the TEV-DEM movement in Kobane. Alush said that following the recent air strikes on positions of the Islamic State (IS) militants in Kobane, the YPG managed to drive the rest of the jihadis out of town and that they are now in control. “YPG fighters are now searching the homes for bombs and explosives that the Islamist militants might have left behind,” said Alush. IS militants laid siege to the Kurdish town of Kobane on the Turkish-Syrian border last month, pounding the town with heavy artillery and tanks. With support from US air strikes, the YPG held the town and eventually managed to turn the tide against the IS. “Kobane is quiet now and the flag of ISIS is gone,” Alush maintained.